Community School Counseling Department website! The Chestnut Hill Community School’s Counseling Department strives to provide a comprehensive and supportive school counseling program capable of meeting the needs of each student. Through a collaborative approach working with parents, teachers, community supports, administrators, and other key stakeholders, we address academic, personal, social, and emotional needs. Our developmentally appropriate methods promote personal growth, teach and strengthen individual skill sets, and ensure safety, support, and success for our students every day. Did you know that there is a Crisis Text Help Line which can help address urgent needs? Available to anyone in the US. Have you heard about the Parental Stress Line & Support Groups available through Parents Helping Parents of Massachusetts? 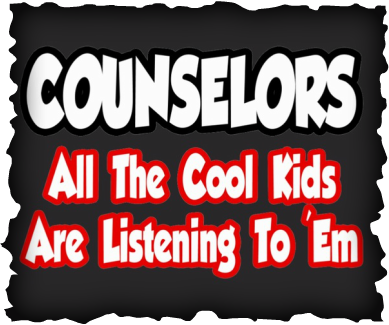 Your School Counselors are Ms. McConnell and Mr. Moyer-Wilkes (aka "Mr. M-W"). To access the individual page for your counselor or other Counseling-related subject areas, click on the appropriate tab at the top of this page, or navigate via the links listed to the left of the page. Down below, you can click on any darkened/underlined teacher names from the list below to access their individual website. What do the counselors do all day?